Don't lose another night's sleep to the relentlessness of scratching! 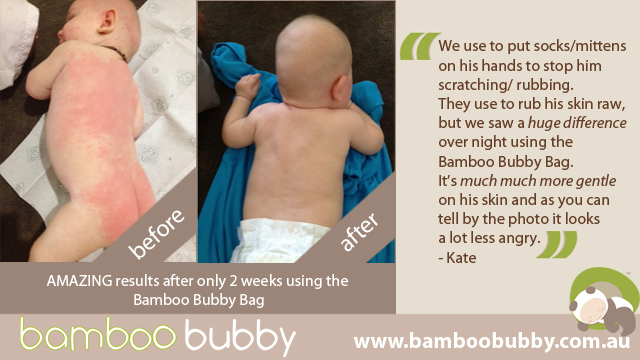 Don't let their skin suffer from eczema any more! Simply add you name and email address below and we'll send you your FREE 'Guide to Breaking the Itch-Scratch-Wake Cycle Using Bamboo' & 15% OFF Discount Coupon RIGHT NOW and we'll also keep you in the loop regularly of any news and specials via email!